Jordan Peele has done it again. 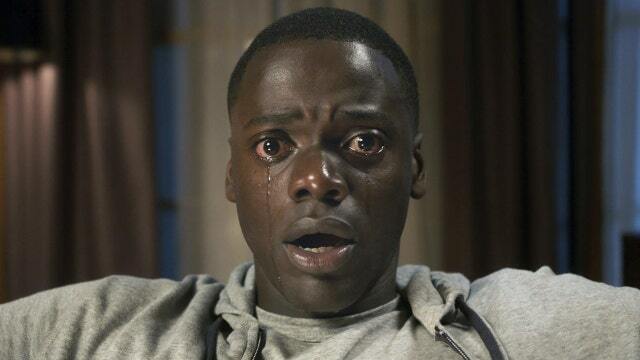 Two years after the filmmaker&apos;s "Get Out" became a box-office sensation, his frightening follow-up, "Us," debuted with $70.3 million in ticket sales, according to studio estimates Sunday. The opening, well above forecasts, had few parallels. It was the largest debut for an original horror film (only the "It" remake and last year&apos;s "Halloween" have surpassed it in the genre) and one of the highest openings for a live-action original film since "Avatar" was released 10 years ago. In today&apos;s franchise-driven movie world, seldom has a young director been such a draw. But moviegoers turned out in droves to see what kind of freak-out Peele could muster in his sophomore release. "Us" took over the top spot at the box office from "Captain Marvel," which had reigned for two weeks. The Marvel Studios superhero release slid to second place with $35 million in its third week. In three weeks of release, it&apos;s made $910 million worldwide, and will soon become the first $1 billion release of 2019. But the weekend belonged overwhelming to "Us," which more than doubled the $33.4 million domestic debut of 2017&apos;s Oscar-winning "Get Out." The former "Key & Peele" star&apos;s first film as writer-director, "Get Out" ultimately grossed $255.4 million on a $4.5 million budget. "Us" cost $20 million to make, meaning it&apos;s already a huge hit for Peele and Universal Pictures, which notched its third No. 1 release of the year following "Glass" and "How to Train Your Dragon: The Hidden World." It&apos;s also, as Peele has said, more thoroughly a horror film. While "Us" has drawn very good reviews (94 percent fresh on Rotten Tomatoes), audiences gave it a relatively low "B&apos;&apos; CinemaScore. Paul Dergarabedian chalked that up mainly to moviegoers feeling shell-shocked when they emerged from the theater. "Us" stars Lupita Nyong&apos;o and Winston Duke as vacationing parents whose family is faced with eerie doppelgangers of themselves. The film added $16.7 million from 47 international territories. While "Us" was propelled by a number of things, including Nyong&apos;o and buzz out of its SXSW premiere, the main selling point was Peele. The 40-year-old director already has an imprimatur matched only by veteran filmmakers like Clint Eastwood. "It&apos;s really difficult for a director to become a superstar whose name gets people in theater, and Jordan Peele has done just that," said Dergarabedian. "He&apos;s a superstar director with a brand all his own, and that&apos;s with two feature films under his belt. That&apos;s pretty astonishing. That just doesn&apos;t happen."